Joshua began his career in the early 2000s as a journalist for several local and regional newspapers while in college. As part of the Navajo teaching of going off to get an education and coming back to help your People—he did just that. In the mid-2000s after receiving his Bachelor’s of Science in History and Political Science from Northern Arizona University, he returned back to the Navajo Nation and worked in several capacities. 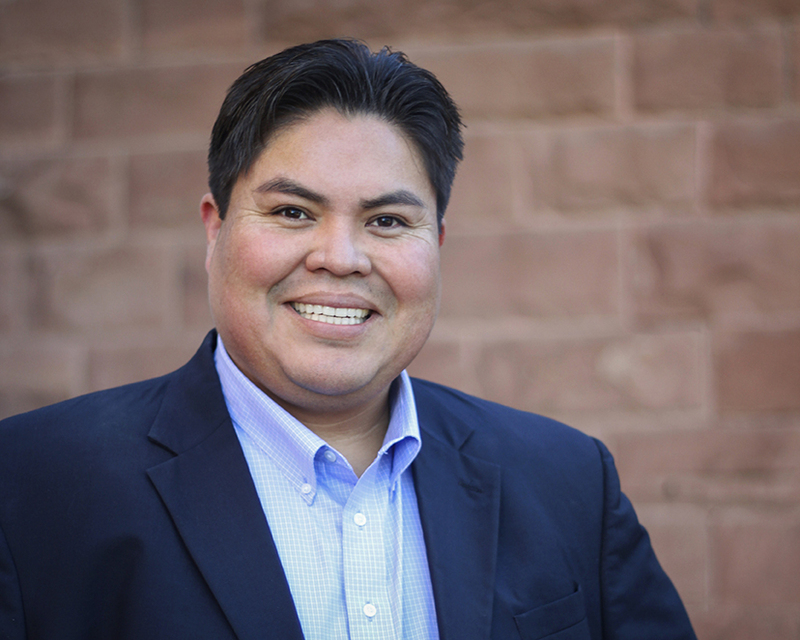 He served as communications director and press officer for the Navajo Nation, served as an advisor and legislative staff assistant for the Speaker of the Navajo Nation, and as executive director for the Office of Navajo Government Development. In 2010, he worked as an advisor to the chairman and press officer for the Hopi Tribe. He accumulated years of experience, and so he and his wife Christina, who has a background in business and finance, launched Sandstone Public Relations in 2010. In the same year, he was elected to a four-year term to the Navajo Nation Council and concluded his term in 2015. He currently serves as president of JLButler Consulting and the chief executive officer at Sandstone Public Relations—a Flagstaff-based public relations firm. He is also owner and partner of Rez Media Group, an online news media outlet. He is also a writer for the Tribal Business Journal (TBJ)—a national print and online publication—and a correspondent for Native News Online. He also recently served as director of marketing at Winslow Indian Health Care Center and as Chief of Staff/Deputy Chief of Staff for the Office of the President/Vice President of the Navajo Nation. He has also contributed his expertise and vast knowledge to several organizations. He recently served as president of the board of directors for Native Americans for Community Action, Inc. (NACA), an urban Indian center located in Flagstaff, Arizona. While at NACA, he helped to oversee social service programs and a health care clinic. He also served on the executive board for the Flagstaff Symphony Orchestra; on the Health, Education and Human Services Committee of the Navajo Nation Council; as secretary for the Arizonans for Tribal Government Gaming (ATGG)/Arizona Indian Gaming Association (AIGA); on the executive committee of the National Indian Gaming Association (NIGA); as a commissioner on the Navajo Hopi Land Commission; as a shareholder representative of the Navajo Times Publishing Company; on the executive committee of the Coconino County Democratic Party; former chairman of the Native American Caucus, and many other organizations. In 2014, he was awarded the prestigious “Native American 40 Under 40” award by the National Center for American Indian Enterprise Development. This national award recognizes Native Americans for their outstanding leadership and community contributions. He currently resides in Flagstaff and Tuba City, Arizona with his wife and family.